You’re about to get married and celebrate your new union with your family and friends – and, like any bride or groom out there, you want your guests to enjoy themselves at your wedding. 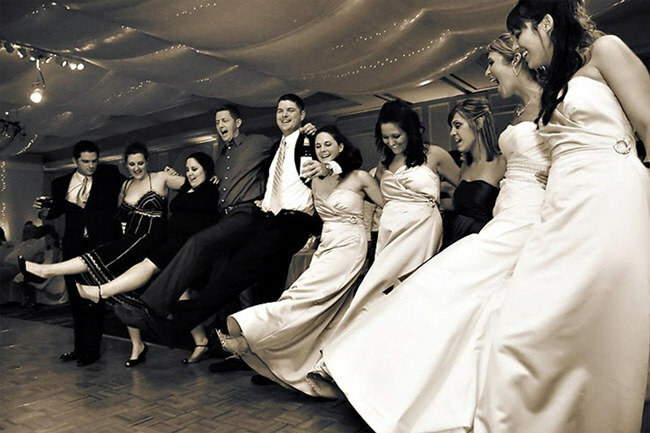 A big part in the overall success of a wedding celebration is represented by the music and no one wants to see an empty dance floor as a result of poor musical choices. 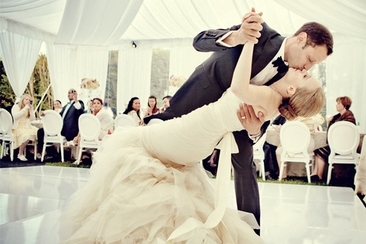 So if you are looking for the best wedding dance floor songs, our list is a must-see! From rock ballads to hip hop superhits and catchy dance pop tunes, it has it all. A song that has ‘love’ in the title is rarely unfit for a wedding reception – add to it a very groovy track, and you’ve got yourself a perfect dance floor season opener! Few songs have maintained their popularity and catchiness for as many years as this hit has: “Ice Ice Baby” is nothing but the best way to get your family and friends up on their feet and on the dance floor. A very sweet song, full of 80s nostalgia and its trademark electro pop beats! And if you and your bride or groom were born in the 80s, then it's even better. 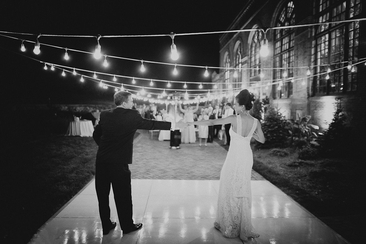 When you’re picking out the best songs for your wedding party, you need a bit of both: the old and the new. This iconic tune is definitely an oldie and a goldie at the same time. Rock and roll at its best and our bet is that not many will resist the temptation to show off their moves on the dance floor. 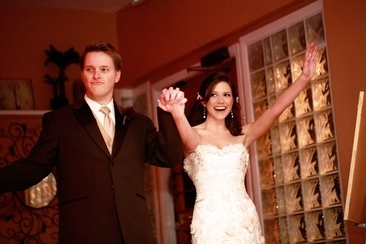 While some songs need a good few years in order to become actual superhits, this one definitely took a faster route to major stardom – a new favorite among the best wedding dance floor hits, this song will stimulate all your guests to bust a move! Hip hop tunes have lots of fans and if you’re looking forward to dancing it up with your friends on a few hip hop hits, then this one will do the trick. Another classic when it comes to wedding dance floor songs, with the drop crotch pants and the groovy moves, this song is as iconic as it gets. If you’re a fan of the new wave genre of the early 1980s and you’re looking for a tune that would inspire everyone at your wedding to get up and dance, then check out this classic coming from Depeche Mode. Dance and hip hop make the best team in this piece, ready to collect your entire group of friends on the dance floor! Dance songs are not the only ones that have the power to get your guests up on their feet – if you’re more into rock than pop and so are your friends, then make sure you include this tune in your wedding soundtrack. A great way to start off the night and to have as many guests as possible on the dance floor is to literally say ‘let’s dance!’… with the perfect song. This tune is so catchy, few will be able to resist its cool beat. 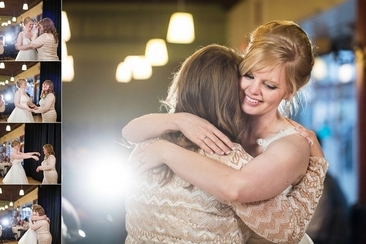 One of the greatest wedding dance floor songs to dance on together with your bridesmaids! And since you cannot go wrong with a hip hop classic known by all, play this track – it won’t really be ‘in da club’ and more like ‘in da fancy wedding venue’, but no one will mind. 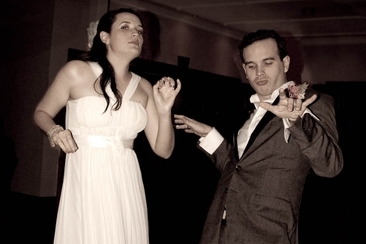 There are lots of ways to dance to this track, so give your guests the chance to get creative. A perfect ballad, for a perfect end of the night! Taking the crown for the most recent song on our ‘best wedding dance floor songs’ list, here is Taylor Swift and her very catchy tune perfect for a mini dance party on the wedding venue’s dance floor with your girlfriends. Talking about oldies and goldies wedding songs, you must include this one on your list. Dancing to this joyful beat is always a treat! A one hit wonder like no other – with a worldwide recognition and present on most wedding soundtrack lists, this playful superhit comes with a specific dance that you simply must perform at your party. This tune may not be the Macarena of parties, but it is one of those rock songs that you must dance to on your wedding day – and that’s not just because of the melody, but because of the lyrics too. 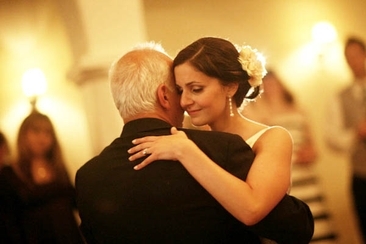 This song has the power to make couples sing-along on the dance floor, thus creating an interactive, high-energy mood. Don’t miss it unless you want to miss out on the fun! Few songs combine dancing and love to perfection – and this one certainly tops the list. How could anyone possibly leave this masterpiece out of your best wedding dance floor songs list?